Credit Cards: Visa, MasterCard, Amex, Discover. You may pay by PayPal if you have a PayPal account. Then, the Invoice and Payment Link will be sent out by Email to you so you can click "View and Pay" button to pay it out. 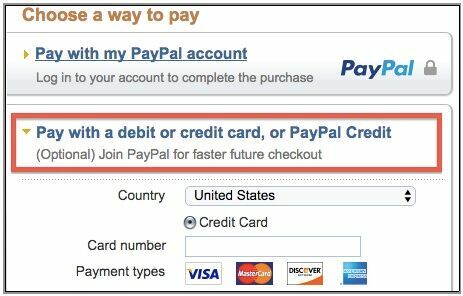 You can then securely pay by one of the following options even if you do not have a PayPal account. We accept Purchase Order from our distributors, resellers, Government agency, School Districts, or large organizations with previous purchase history. To keep your internet transactions safe, we adopt a secure and creditable independent third party payment system, which provides 128-bit SSL, a secure dedicated line between banks and payment gateway, encrypted database covered by firewalls and blocked from employees, and so on. We, InfoLogic, Inc., do not save any of customer's credit card information locally. Please feel free to contact our Customer Service and Sales department by e-mail, phone or fax.